You wouldn't believe the piles and stacks of paper we find in this place. When I get caught, I tell them Latte made me do it on a dare. Don't worry; she returns the favor. On the the-way bonding front, we are still on the plateau. We fly the baftub, and all's well. But then one day the hoomins decided to serve all three of us a salaaaad on a single big plate. Hm, that didn't work out so great. Everybunny decided to protect their turf, even if it wasn't their turf. Confusing, I know. Everybun got flustered. Sigh ..., we'll fly the baftub some more I guess. Of course, we'll keep you posted. 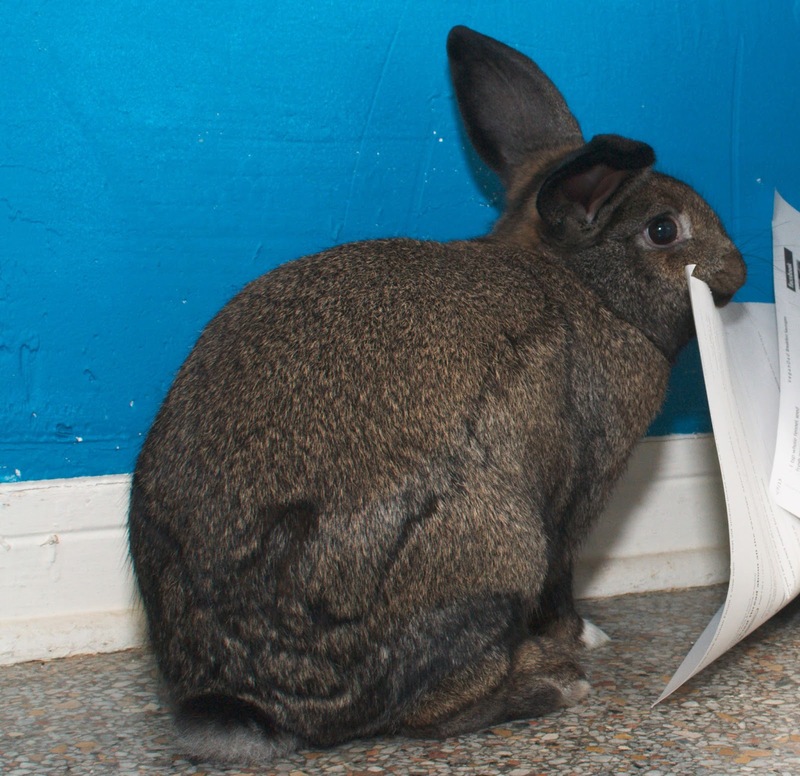 Bunnies sure do love their books; quite a few in our home library have been 'edited' with little bites removed. Of all my cats, only a brother/sister pair will eat off the same plate. I will share with cats but not with other humans, so I think it's only fair for the rabbits to have their own plates. Count yourself lucky to have such a well-read little bun!